Student Summer Jobs and Tax, all you need to know. What changes to buy-to-let mortgage interest tax relief for landlords? End of Tax Year planning - Use your Allowances to reduce your tax bill. What do you do if you receive a letter from the HMRC Let Property Campaign? This Guide was written by Iain Rankin, Small Business Tax Adviser at TaxKings Accountants. 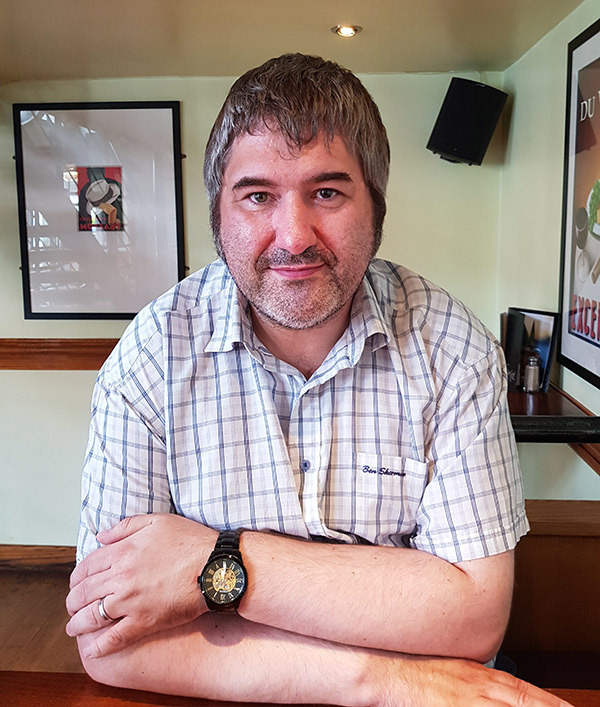 Iain now writes for Listentotaxman.com on matters relating to business tax. 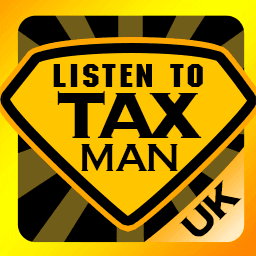 He is very happy to speak with Listentotaxman visitors to discuss any tax questions they might have – just visit the TaxKings Accountants website for contact details. Let’s say you’re a sole trader. Pick a trade – it’s up to you. You’ve got a local friend called Saul Treyder who was formerly a sole trader. He runs a record shop, trading classic vinyls of Soul music. He used to be called Saul Treyder, the Soul-trading sole trader, but now he’s just Saul. Both your businesses are doing considerably better than 5 years ago when you first became friends. For the purposes of our example, let’s assume both of you are making exactly £70k each year. You’ve got similar spending habits and everything is peachy. So one day you go over to Saul’s place after work. The door opens and you’re hit with the smooth sound of Marvin Gaye through his new sound system. Okay, maybe the TV wasn’t bigger than your car, but the point is that Saul is clearly taking home a bit more than you are at the moment. And you, having lent him a fiver for parking last week, are baffled. The thing is, Saul is actually earning just as much as you are; that hasn’t changed. The only difference is his take-home has increased by £2,750. Now, in the 2019/20 tax year, if you run a self-employed business (or if you’re employed), you’ll pay higher-rate tax at 40% on any income above £50,000. To put it into perspective, let’s say you charge hourly. For every hour you work, 24 minutes of your time goes towards paying the taxman. Just worked a ten hour day? You can say bye-bye to 4 hours-worth of your earnings. Go on, wave goodbye. You’ll never see it again. If you earn less than £50,000, but you’re still above the tax-free allowance of £12,500, then you’ll pay basic-rate tax at 20% on everything above the £12,500 figure. It’s not a huge percentage, but again, you’re still handing it over to the Chancellor and you don’t have much of a say about what he spends it on. National Insurance Contributions; NIC’s for short. Everyone forgets about NIC’s. They’re boring, so let’s just skip the details and get into that later. The company is a separate legal entity. So there are some taxes which will need to be paid by the company, and some that you pay personally. You’ll get in trouble for mixing company & personal money. So don’t think you can use it like your own piggy bank. Companies don’t get a tax-free allowance, so the company pays 19% corporation tax on every penny of company profits, no matter how big or small. You should be able to see the benefit of this for those paying 40%. The company can then distribute company profits after tax (known as dividends) to its shareholders. Shareholders then pay some personal tax on this income. You get a £2,000 tax-free dividend allowance. After the first £2k, basic-rate dividend tax is paid at 7.5%, and higher-rate dividend tax is paid at 32.5%. There is no national insurance liability on dividends. If you take a salary from the company (which is different to taking dividends) then you (and the company) will also have to pay employers’ NICs. However, you can work this to your advantage. More on that below. Let’s see how our smooth soul-man Saul has ended up with more cash - and more importantly, more venison - despite being paid the same amount. I’ve put these into two columns, but bear in mind there are really three entities paying tax here; you, Saul and Treyder Ltd.
Sauls company, Treyder Ltd, has £70,000 profit over the year. You have £70,000 profit over the year. Treyder Ltd pays Saul a basic salary of £8,632. Saul used this figure because it’s low enough that both Saul & Treyder Ltd avoid paying national insurance contributions. This counts as a company expense, reducing Treyder Ltd’s taxable profit to £61,368. You and your business are the same entity. Any money you take from the business for personal spending simply does not count as an expense. Treyder Ltd owes corporation tax at 19%, on all profits. Its total corporation tax bill is £11,660. You make your first £12,500 tax free. You pay basic rate tax at 20% on everything between £12,500 and £50,000..
20% of £37,500 gives you a tax bill of £7,500. You then pay 40% on everything above £50,000..
40% of £20,000 increases your tax bill by £8,000. Your total income tax bill is £15,500. Treyder Ltd pays no employers National insurance contributions. Your Class 2 NICs come to £156.00. Your Class 4 NICs come to £4,123. Your total NIC’s come to £4,279. The total tax paid by Treyder Ltd comes to £11,660. Your total tax and NICs come to £19,779. This leaves Treyder Ltd with £49,708 profit in the bank. So far, Saul has £8,632 in the bank. He puts on some Barry White and chills out. This leaves you with £50,221 in the bank after tax. And that’s that. Like you, Saul gets to take advantage of his £12,500 tax-free allowance. He’s only got £8,632 of personal income so far (his salary), so he has £3,868 left to use up. That’s it for you I’m afraid. Saul is the only shareholder of Treyder Ltd, so he can withdraw all of the company profit. Saul takes £3,868 in dividends to use up his personal tax-free allowance. He also takes advantage of his £2,000 tax-free dividend allowance. He has now taken a further £5,868 out of the company tax-free. Combining his salary and dividends, Saul now has £14,500 in the bank. Treyder Ltd has £43,840 profit left in the bank. Your tax adventures end here. Treyder Ltd distributes all its profits to shareholders (Saul). This will push Sauls total income up to £58,340. Saul pays basic-rate dividend tax on everything between £14,500 to £50,000. 7.5% of £35,500 is £2663. Saul pays higher rate dividend tax on the rest of his income. 32.5% of £8,340 is £2,711. Sauls total tax liability is £5,374, leaving him with £52,966 in the bank. You should’ve incorporated. For comparison, your total tax liability was £19,779, leaving you with £50,221 in the bank after tax. Now remember – Treyder Ltd owed corporation tax too. Between them, Saul and Treyder Ltd paid £17,034 to the taxman, whereas you paid £19,779. You lent him a fiver. Incorporating his company saved him £2,745. But it gets better, for Saul at least – he can actually save even more. Saul is not obliged to withdraw all company funds as dividends. He could leave £10,000 profit each year for ten years and then take 2 years off paying himself £50,000 a year while working on some rare grooves. Both of you were over the higher-rate tax threshold. However, Saul could feasibly keep his income below the threshold, paying even less tax. Let’s say in our comparison example above that Sauls total income for the year doesn’t exceed £50,000; he withdraws anything above that in the following tax-year, when income is lower. In our example above, Saul paid higher-rate dividend tax at 32.5% on £8,340 of his income - £2,711. You are probably aware that the tax year runs from April 6 to April 5. If you weren’t, you are now. The more you know, right? Suppose Saul has other commitments in the next company year (his holiday) and he expects this will mean dropping a contract, so profits will be a little lower. He waits until after April 6 to withdraw the £8,340. Because we are in a new tax year, Saul’s allowances/thresholds have renewed, and so he will not pay 32.5% dividend tax on this amount. Instead, he can pay the far lower basic-rate of 7.5%. If he can keep his income below the higher rate threshold again, this would mean his total tax due on this sum is just £626. That’s an extra £2,085 (yup, two-thousand-and-eighty-five pounds) in the bank for Saul. This takes his total tax accrued for income received in 19-20 (between Treyder Ltd and Saul) down from £17,034 to £14,949. The total saved through incorporating his business is now £4,830. You’re still paying £19,779, by the way. That said, there’s nothing to stop you incorporating your company and making these same savings. You may never be as cool as the company director formerly known as Saul Treyder the Soul trading sole trader, but you can certainly be as tax-efficient as he is. Hopefully the example of Saul has demonstrated the key differences between taxation of sole traders, limited companies and their shareholders, and given you a useful look at how the new thresholds for 19-20 will affect your take-home pay. While incorporating your business can definitely save you a significant amount of tax, it’s important to remember that it isn’t necessarily the best approach for everyone, particularly those whose profits do not exceed the personal tax-free allowance. You should always seek professional advice to ensure that you are making the right decision at the right time. This article was published in our News section on 25/03/2019. What changes to buy-to-let mortgage interest tax relief for landlords? 18/04/19Undoubtedly the biggest source of tax confusion for prospective landlord clients that we speak to here at TaxKings relates to the changes to tax relief for residential landlords, introduced by the UK Government in April 2017. Top Ten Year-End Tax Planning Tips for Small Businesses 25/03/19Tax planning for small businesses is not always straightforward, in fact it can be a serious minefield for the unwary. The chances are however that you and your business could almost certainly pay less in tax, with help from your tax advisor. Here are some tips to get you started. Making Tax Digital for Small Businesses 25/03/19Making Tax Digital for VAT (MTDfV) comes into effect from 1st April 2019. With Chancellor Philip Hammond announcing in his 2019 Spring Budget that MTD for other taxes will not be mandated until at least 2021, all of our focus is now on the VAT implementation. End of Tax Year planning - Use your Allowances to reduce your tax bill. 26/02/19Last minute Tax Planning. Our guide to what annual allowances you have and how to use them to reduce your tax bill. A Contractor's introduction to Director's Loans 09/01/19There may be a time when you need to loan money to or borrow money from your own Limited Company. Director’s loans are wrapped up in fiddly bits of legislation. When borrowing cash from your company, care must be taken. You must ensure that you fully understand the tax implications before you take any kind of loan from your business. A contractors guide to VAT 08/01/19Value Added Tax (VAT) is a standard consumption tax levied on almost all goods and services in the UK. If you’re a contractor, working through your own Limited Company, registering for VAT could significantly improve your tax efficiency. Off-payroll working in the private sector - a contractors guide 30/11/18IR35 is a tax legislation used to distinguish between employees and genuinely self-employed contractors. Last month we compiled a comprehensive guide to IR35. Now, we take an in-depth look at how the ‘off-payroll working’ rules, introduced to the public sector in 2017, will be extended to medium and large-sized businesses in the private sector from April 2020. Valid expenses you could claim as a landlord 30/11/18Are you a landlord? Maybe considering a new home, and letting out your current property? Maybe you’re working abroad for a while, and renting your home to make ends meet? Before you take the plunge (or even if you took it years ago), this article aims to help you make the most from your rental income. A guide to expenses for Contractors 13/11/18As a contractor, working through your own limited company, one of the main benefits available to you is the ability to claim business expenses. Claiming expenses correctly can reduce your tax bill, it’s a vital part of running your company tax efficiently.